Would you like to save money on your next vacation? Well, if you are a US military member, retiree, DoD civilian, or US military veteran, then you have access to joining Armed Forces Vacation Club (or their sister site, Veterans Holidays), where you can do just that. Armed Forces Vacation Club is built around the idea that our military members deserve the best. And to back that up, Armed Forces Vacation Club (AFVC) offers weeklong Space-Available resort stays starting at the low price of $349*. Where else can you book a vacation rental for as low as $50 a day? And the inventory can’t be beaten. AFVC has access to over 200,000 resort accommodations in over 100 countries in a wide range of unit sizes from studio to two or even three bedrooms. Vacation rentals are priced per unit not per person, and typically sleep 2-8. Inventory can vary by location and season, so it’s recommended that you spend some time viewing their site for more details. *The $349 price applies to Space-A locations only. Pricing and availability may vary for other resort bookings. Armed Forces Vacation Club is a FREE membership club open to active duty, Guard, Reserve, retired members of the Armed Forces, as well as civilian employees of the Department of Defense (DoD). Veterans are eligible for free membership in Veterans Holidays, which is Armed Forces Vacation Club’s sister brand. Veterans Holidays is specifically dedicated to serving veterans. It features the same great benefits and deals as Armed Forces Vacation Club. Free Membership. Membership is free and easy, and can be completed online or over the phone. Be sure to opt-in to emails so that you can receive sales and deals directly to your inbox. Membership gives you access to a wide range of resorts around the world, making it easy and affordable to take a trip from wherever you happen to be stationed – or wherever you choose to go. Value Pricing. Vacation Rentals are priced per unit, not per person. This gives you excellent value for your vacation dollar! Support your local MWR / ITT office. Armed Forces Vacation Club gives back to the military community by contributing to local Morale Welfare and Recreation (MWR) Programs or Information Tickets & Travel (ITT) offices. A portion of every booking goes back to the MWR/ITT office on the base/branch of your choosing. You can choose your local base when you become a member. MWR programs provide servicemembers, retirees, and their family members with access to fun activities on and around military installations. It’s good to know that a portion of your purchase goes right back to the military community! Buying through AFVC supports your MWR! Click here to become an Armed Forces Vacation Club Member. Many Armed Forces Vacation Club properties offer amenities not found in many standard hotel rooms. Hotels are great for short trips. But staying in a hotel for more than a few days can become cramped and expensive. Having a fridge or small kitchenette is helpful, but not all hotels have them. And most hotels don’t have DIY laundry facilities and other features you would normally have at home. That isn’t the case with many AFVC resort properties, which frequently feature amenities like kitchens, living rooms, multiple bedrooms, washer/dryers, balconies or outdoor patios, pool and recreation facilities, kids activities, and more. The best part is that vacation rentals are priced per unit not per person, and typically sleep 2-8 people. This makes it much more affordable for larger families or even extended families or small groups to rent a resort for a week for much less than the cost of a couple nights in a mid-grade hotel. Additional resort features: Some resorts also have on-site activities, which may include activities such as golfing, skiing, swimming, beaches, tennis courts, and other activities. Amenities vary by location, so be sure to read the full feature list before booking your next vacation. **Note about all-inclusive resorts: Some all-inclusive resorts may have required fees in addition to the unit rental price. These are required by and paid to the resort. AFVC will give you advance notice before you book your reservation if there are additional required fees. Armed Forces Vacation Club features several different types of vacations. Many locations offer something for the entire family, regardless of the travelers’ ages. Some of the more popular vacation types include family vacations, adventure trips, and journeys centered around beaches, fishing, golfing, skiing, and other activities. There are also relaxing and romantic getaways. A quick search on the AFVC website or a call to the AFVC customer service line can help you find what you are looking for. Where does AFVC offer resort stays? A better question might be to ask where you can’t book through AFVC! Armed Forces Vacation Club is a part of Wyndham Worldwide, one the world’s largest hospitality companies. This makes it possible to offer a vast collection of condominium-style timeshare resorts***. There are over 200,000 resorts and over 100 countries. So you can find places in many of the world’s most popular cities and countries, as well as locations off the beaten path. I would start by visiting their site and searching their inventory. You can use their search features to narrow down your search by continent, country, region, state, etc. ***Many of these resorts are time-shares, however, the AFVC website states members are under no obligation to attend any timeshare presentations. There are three ways to search for properties on the Armed Forces Vacation Club website. You can search by destination, travel dates, and price types. There are additional filters you can use to narrow down your vacation choice, including price range, ratings, unit types, amenities, activities, and more. Search by Destination: This is the most obvious way to use AFVC. Simply choose the destination you wish to travel to, then choose your dates. AFVC has access to a large pool of inventory, making it relatively easy to find a resort for your featured location and dates. But there are other ways you can use AFVC’s extensive network of resorts to your advantage. Search by Dates: If you have more flexibility with your schedule, you may choose to search by date. This allows you to zero in on a specific timeline, and go from there. This can be useful if you like to vacation during a certain time of year, of you want to get in a trip before you PCS, before leaving for a deployment, etc. Search by Price: If you are the more adventurous type, you can search for the best available price, regardless of location. This can be a fun and inexpensive way to see the world and give you an opportunity to visit a location you may not otherwise have chosen. My friends and I did this when we were stationed in the UK. We bought the least expensive airline tickets we could find and ended up staying for 4 days in Aarhus, Denmark. We had the most amazing time, even though we didn’t know much about the location before booking our tickets. The best offers through Armed Forces Vacation Club come through their Space-A offers. These are made on a space available basis, so the inventory varies by season and location. Space-A offers feature resorts that have limited inventory and they offer heavily discounted rates in order to fill the spaces so they don’t go unused. There are some exceptional offers at these rates, which generally start at $349* per week. AFVC sometimes even offers further discounts on Space-A inventory, so keep an eye out for possible discounts or special offers. Space-A availability is greatest when booking in the off-season, or when booking a last-minute vacation. Again, the goal is to prevent these rooms from going unbooked, so there can be great deals if you can be ready to go with a few days’ notice. Search Now for your next vacation. Looking for some flexibility? You can purchase a 7 Night Resort Vacation Certificate (RVC) now, and redeem it any time within the next year. RVC’s can also be purchased by an Armed Forces Vacation Club member, and given as a gift to friends or family (regardless of their military status). Learn More About AFVC Resort Vacation Certificates. Armed Forces Vacation Club recently launched a new level of membership called Premium. Premium Membership features lots of great vacation benefits including Early Access to Sales, 10% Off High Demand Vacation Rentals, a $25 Monthly Dining Certificate from Restaurant.com & more! The cost is reasonable, at an annual rate of just $119 a year or $249 for three years (only $83 a year!). Learn More About AFVC Premium Membership. Note: the Space-A Resorts mentioned in this article are not to be confused with Space-A travel. Both refer to space-available, but one refers to private resorts, the other refers to flying on a military aircraft on a space-available basis. Thank you for posting the latest offer from AFVC. They got a great offer and I would very glad to share it to my friends. Keep on posting. Why are there postings on the internet about AFVC scams? Is this a legit company; if so, why are there complaints that it is a scam? Hello LaTonya, I can assure you Armed Forces Vacation Club is a legitimate company. The internet can be an interesting place when it comes to reviews and complaints. It’s easy for someone to complain about a company, product, or service, but rarely do people take the time to praise them when things go well. There are also sites set up for complaints, but not many sites set up for positive reviews. So it’s possible there is some bias in the reviews that surface. If you are interested in booking a trip with them, then I would research the available inventory on their site, and contact their customer service before booking. Virtually all online purchases are protected when made with a credit card. So you aren’t really putting any thing at risk. My personal belief is not to take action if I’m not confident. But I am confident that Armed Forces Vacation Club is legitimate, and I wouldn’t hesitate to book a vacation through their website. My husband and I have vacationed in both Orlando, FL and Williamsburg, VA using AFVC. Both times we stayed in a beautiful condo with our families and paid next to nothing for it. This is no scam! Just be smart and check out any property you are thinking of using on trip advisor. You can find plenty of ratings and pictures so you’ll know what you are getting. Another thing I sometimes do…put the address in Google maps and check out the street view. You can check out the surrounding area for as far as you want to drive your google car! I have a question. I am a veteran who served in the US Army from 1977 to 1979. My husband served in the reserves from 1972 to 1978. My son, Cody Putman was killed in action serving our country on 4/12/2007 in Baghdad, Iraq. Since my husband and I aren’t retired, would we be eligible to take advantage of the Armed Forces Vacation Club? Hello Pam, I’m sorry for your loss. Armed Forces Vacation Club is open to current military members and retirees. However, there is a sister site called Veterans Holidays that has the same benefits, features, inventory and costs. It is open to all veterans who served. So you would be eligible for the Veterans Holidays site. I hope this is helpful, and thank you for your service! Are retired U.S. Public Health officers eligible for AFVC membership? As a veteran with a 100% disability rating what is my status? I am not active or retired. I assume that I would not qualify for the same benefits that active and retired qualify for. David, You can contact them to determine this. But they also have a sister site called Veterans Holidays, which offers the same deals and inventory. You are definitely eligible for Veterans Holidays. I hope this helps! If the other “sister” site has the same offers, why have two sites? 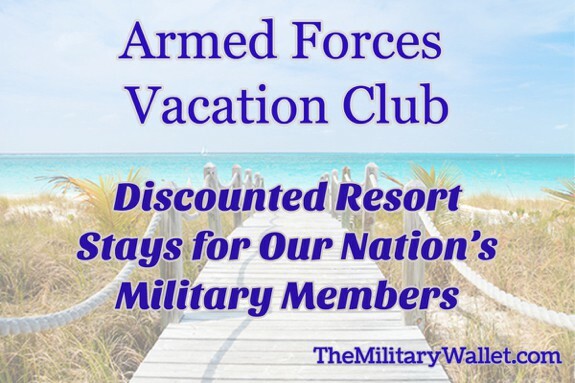 I have been a member of the Armed Forces Vacation Club for a number of years and highly recommend them. I have vacationed in Las Vegas, Buloxi, Hilton Head, Pigeon Forge, Williamsburg, Hot Springs and Fairfield Bay in Arkansas and have always been very happy with the accommodations. Some have been better that others but all have been better than staying at a hotel and probably having to pay more. I do have a complaint on the certificate program they have where you can purchase a week for less that the going rate of $349 and you have a year to use it. I purchased two weeks for a total of $598, $299 per week. When I went to redeem one week at Hilton Head SC for the week of 6-13 Jan 2018 I was told that I needed to pay an additional $220 to upgrade, ($519 total). I could go through the normal reservation for an AFVC and could get the same property for the same week for the going rate of $349. All I have to say is use the AFVC but think twice about purchasing a certificate with them. Uh oh! I made reservations with a certificate and I’m hoping I don’t arrive and am told that I have to pay extra for an upgrade! Did they tell you this at checkout online, or when you were in person at the place of stay??? Hello James, There is no timeshare presentation requirement to stay with Armed Forces Vacation Club. I hope this is helpful information! Best wishes, and thank you for your service! 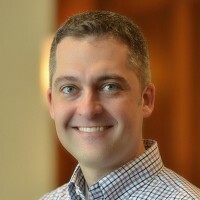 Ryan – Thank you for the prompt response. I have another question, having a 100% service connected disability, would I sign up with AFVC or Veterans Holidays, or does it matter? Thanks again. I just “signed up” for free and am at a point where I am ready to book a vacation. Question, they never asked for a DD214 or any other proof I am a vet, at least not so far. Do they verify Veteran status or is this really just open to anyone willing to claim it? Hello Matt, Thank you for contacting me. Yes, they do verify your eligibility before you are able to book tickets. Their customer service representatives should be able to walk you through the process. I’m new to AFVC, we were looking at booking our first Space-A vacation and were making plans in order to book the vacation, and the resort we were wanting to go to is no longer available under space-A. Is it possible that the resort we are looking at will have more available units under space A? Or how often do new resorts become available? We are looking to travel in Feb, so I have time to look but just wanting to know if it is likely that anything new will become available. Hello Jeff, Thank you for contacting me. My understanding is the Space-A inventory stands for Space Available. This is inventory the managers are discounting so they can increase their occupancy rates. This makes for excellent discounts and travel opportunities. However, the nature is that the inventory is always changing based on availability. It’s hard to predict when/where the openings will occur. So I really can’t answer that question. I would focus on narrowing down your rough location (country, region, city, etc.) and go from there. If you have somewhere specific you want to travel, then I would lock up those reservations as soon as you see them available. Because they might not last. On the other hand, I have heard that some travelers like to wait until the last minute to find great deals to places they otherwise wouldn’t travel. This can work well if you have access to inexpensive airline travel, such as Space-A military travel, reduced cost through airline miles, etc. I have just had the worst time with AFVC. I had to call them 3 times to make a booking under their BOGO sale. Never once was it mentioned that I had to book my free stay by 28 Mar. So here it is the 2 of Apr and I don’t get to take advantage of what I paid for. They offer only apologies and say I should have read the rules. Their web site is terrible. They have three vertical slide bars and one horizontal bar to navigate through parts of the site. One of the vertical bars will not show up unless you move the horizontal bar. My 8 year old nephew could have set up a better website. Whatever you do, DO NOT sign up for premium membership. All the deals on the premium membership are terrible. You get better deals through AARP or by simply asking if military discounts are available. If you ask me the whole thing is a racket designed to take advantage of military members. My experience is Air BNB is cheaper and by far easier. I have over 400.00 in vacation dollars to spend but I will never be able to send them. EVERYTHING you try to purchase is marked up and all you are doing is buying a discount. For instance you use 10.00 of your “earned” vacation dollars to purchase a buy one get one free pizza. What a stupid deal that is. The whole thing is a racket full of hidden costs and fine print. I am the ex wife of a military retiree and have a card in my name. Am I entitled to use the Afvc? Has anyone had any experience with booking at an all inclusive resort? What does it mean to pay additional fees? Kelly, each location may have different rules or pricing variables. I recommend contacting the AFVC customer service department for specific information. Have a fun trip! I notice that several of the Space A resorts have a 80.00 cleaning fee per day? do we still have to pay this. This would make a 7 day vacation cost over 900.00 dollars. Hello Robert, Thank you for contacting me. I am not familiar with the billing procedures for each resort. I recommend contacting the Armed Forces Vacation Club with this question. They will be able to provide more information. On a personal note, $80 per day seems awfully high. I can understand a cleaning fee per trip, but not one of that amount per day! Hello Robert, Thank you for your comment. I am not familiar with the billing procedures for each resort. I recommend contacting the Armed Forces Vacation Club with this question. They will be able to provide more information. On a personal note, $80 per day seems awfully high. I can understand a cleaning fee per trip, but not one of that amount per day! I’d definitely contact customer support, and shop around if that fee can’t be waived. If we use this service, do we have to sit through any time share selling at the chosen resort? If we book at 7 day but only stay 3 days, do we still pay the full amount? Hello Tami, Thank you for contacting me. No, you do not have to sit through time share presentations when you book a Space A resort. You do have to pay the full rate for these reservations. That said, the rates are often discounted because they are trying to maximize occupancy. So it may be more affordable to book the 7-day Space A rate versus staying at a hotel for only a few days. As with all reservations, it’s always a good idea to confirm the details with customer service before booking, as some things may change. Hi we are a military family ( british) my wife a serving Chief Petty Officer in the Royal Navy. I am a retired Royal Marine Commando (26years). Are we entitled to your wonderful offers as we coming to Florida in three weeks. We have served alongside US in both Gulf wars, Bosnia and Afghanistan. Thanks Chris. I recommend contacting AFVC for more information. I wish you all a wonderful vacation, and thank you for your service to your country! Hi, looking at all-inclusive resorts in Cancun. With the “additional all inclusive” pricing beyond the ~$400 for your fee, that’s not any better than what I can get by getting a package with air at similar or better hotels in the area. Am I missing something? If you don’t do all inclusive it sounds like a great deal though!! If I book for one week at one resort, would I be able to check in any day that week, or do I have to check-in on the first day? Steve, unfortunately, I can’t comment on this because each location may have their own policies. You would need to contact AFVC or the resort you plan to book with. I wish you the best, and thank you for your service! Can a vet spouse book and travel without the vet? I am a 100% permanent and total disabled Veteran. I have a DoD ID card. Does this allow me to use AFVC? I know about the “sister” site and am not interested. I am the owner of Peppajoy Sauces here in the Turks and Caicos Islands. Just last year i started Peppajoy For Veterans Vacation. Peppajoy For Veterans offers a all expense paid 4 night stay, meals, car rental, travel tickets, accommodations, gifts and excursions, sponsored by wonderful people and businesses of the island. Our first winners of 2018 will arrive on island April 16 2019, we are now taking entries for 2019 winners, there are no hidden fees or gimmicks just a wonderful vacation, would you help us promote this offer?